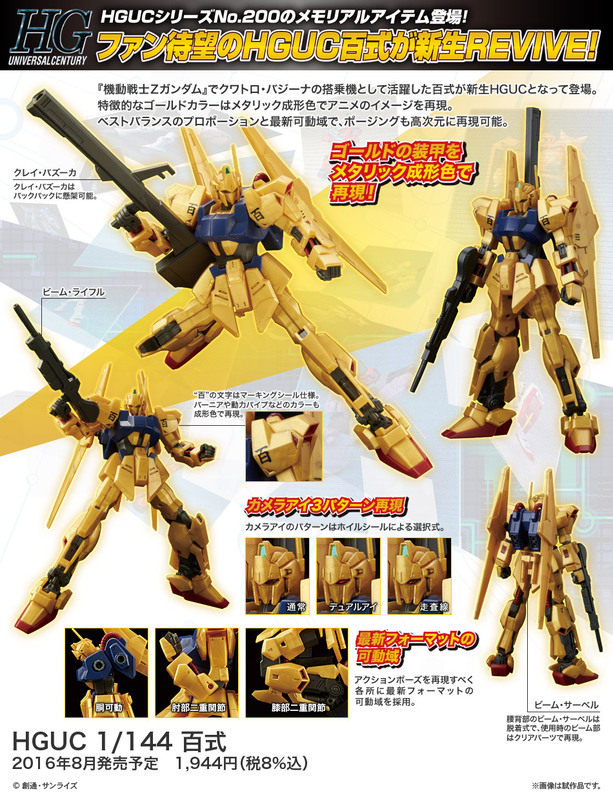 HGUC kit number 200 turns out to be Mobile Suit Type 100, the Hyakushiki. This could be consdiered the Revive Hyakushiki as Bandai has engineered this new Hyakushiki using the designs from other kits in the revive series. Hyakushiki comes with three different stickers for the eyes so you can choose your look as well as two Beam Sabers, a Beam Rifle, and the Clay Bazooka. All of which mount on the back of the MS when its not using them.